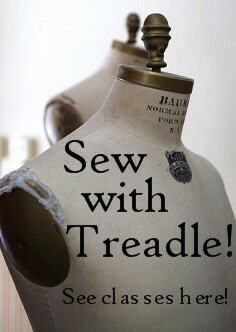 Some lovely photos of Treadle fabric in action today. This beautiful dress was made by Teresa Grissom for her daughter here, and it couldn't be more lovely! Please send us photos of your latest sewing masterpieces. We would love to share them here.